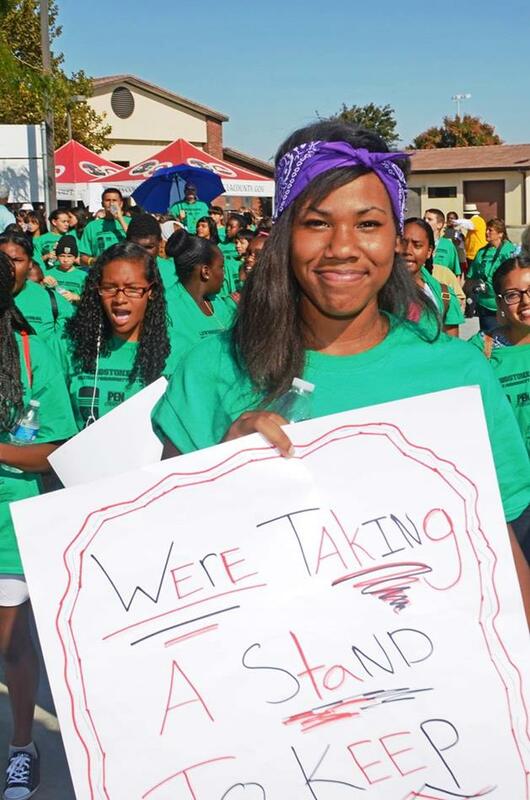 LANCASTER – Hundreds of students from schools across the Antelope Valley turned out Friday morning for the Antelope Valley Youth Mentoring March. The event kicked off at 9 a.m. in front of Supervisor Michael Antonovich’s office on M-4 and 10th Street West, and then the students marched to LA County Fire Department Station #129 on 6th Street East, just north of Avenue M.
The March ended in a rally, featuring several community leaders, including Dr. Michele Bowers, Superintendent of Lancaster School District and Lancaster Mayor Emeritus Bishop Henry Hearns. The purpose of the March was to empower and engage the youth on a local level to become more involved in both their school and community. 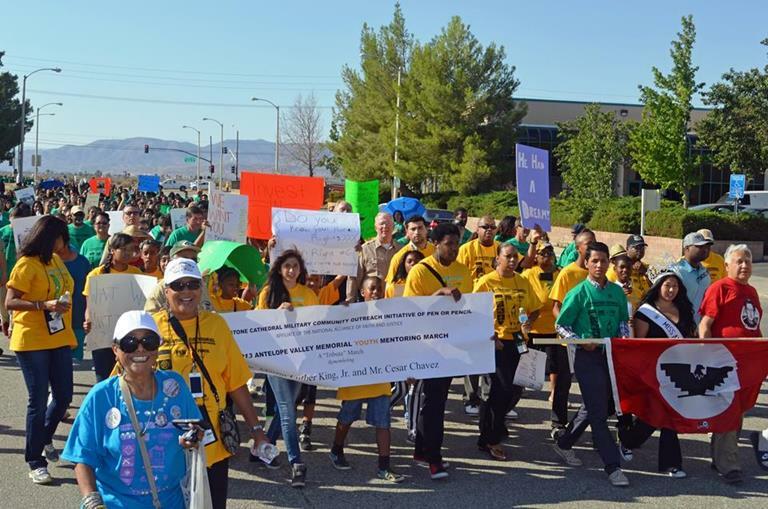 Themed ‘I Am the Dream’ ~ ‘Se Puede Vivir,’ the March also honored two historic icons – civil rights activist Dr. Martin Luther King, Jr. and labor activist Cesar Chavez. The March paid tribute to the 50-year benchmark of Dr. King’s “I Have A Dream” speech and one of the largest non-violent protests ever held in the country, the 1963 March on Washington for Jobs and Freedom. 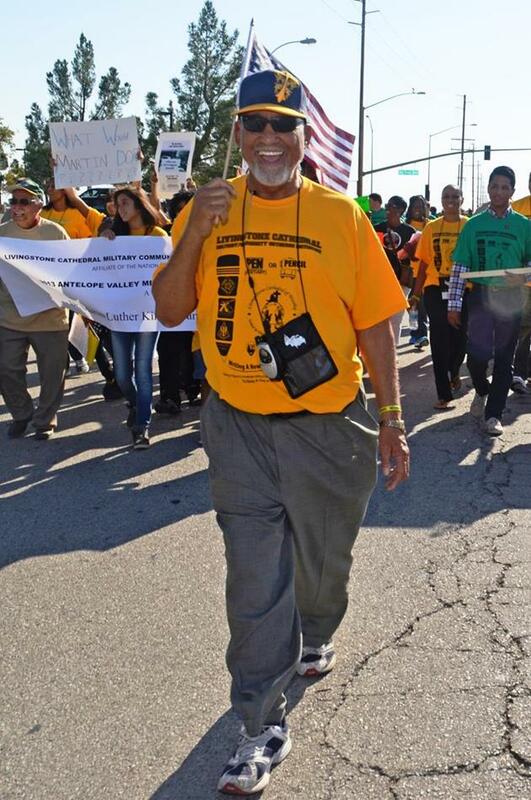 The March also paid tribute to the 20th anniversary of Cesar Chavez’ death and his work with the United Farm Workers Union. 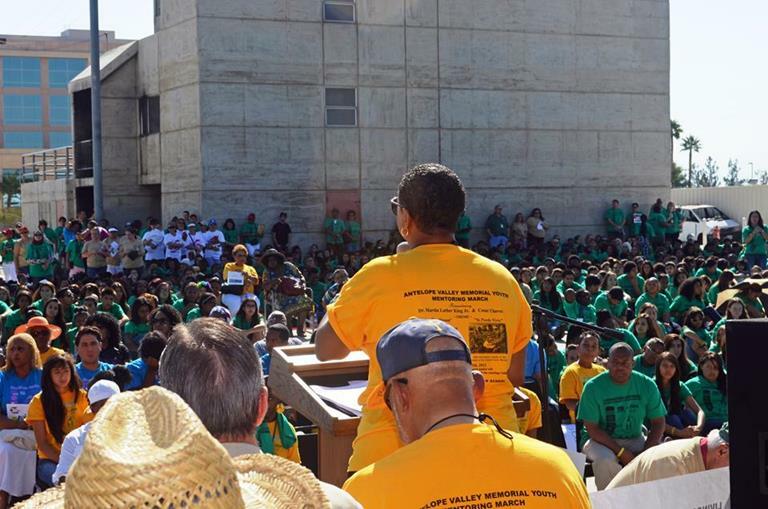 The Antelope Valley Youth Mentoring March was sponsored by the National Alliance of Faith and Justice (NAFJ) and Living Stone Edwards AFB Pen or Pencil Mentoring Program. 14 comments for "Hundreds gather for AV Youth Mentoring March"
I heard Commish Stanley was working on his apology to the Simon Weisenthal center. What part of ILLEGAL ALIEN do you idiots not understand? Stop forcing your spanish crap down everyone’s throats! Cesar Chavez was a criminal just like the rest of the foreign invaders crossing our borders! What has happened to the Antelope Valley Minutemen? We need patriots out there to counter treasonous people like this in the country. GOD BLESS AMERICA! SEAL THE BORDER! ENGLISH ONLY! This is what bigotry and racism looks like. Right on Brian. I don’t remember moving to Mexico. Yet, these days everywhere you turn its all spanish. And, just because it bothers me, doesn’t mean I’m a racist or bigot. (On my mother’s side) three of four great-grandparents were from other countries. But guess what? They learned English. Our country screwed itself by not closing the borders 30 yrs ago. If you didn’t come here with plans to be part of the American society, then we don’t need you. America is a FREEDOM country not a FREE country. Ugh your stupid to Linda!! Ignorance !!!! I think both of you should crawl under a rock and stay there !!! Idiots! An amazing day! This march shows what is right in our world, Adults modeling proper behavior and inspiring children all at the same time. Thank you Bishop Hearns and everyone else who made this a day to move forward in the right direction from. Couldn’t this be held on a Saturday? I wonder if the school districts involved lost state money for attendance because the students were at the rally? To my understanding this was an educational field trip and was thus under history/social studies educational minutes. i see the one kids sign says” jobs peace freedom”. Good luck :) have fun fighting for all three in syria. hopefully mohammad wasnt out there helping parris make the citizens of lancaster look like a bunch of bigoted idiots. Actually Mr. Blue, Stan Muhammad was there helping Mayor Parris and the city of Lancaster look like a bunch of people that can learn from their mistakes and move forward in unity and harmony. Mr. Muhammad brought in the closing musical act that had the place rocking. Even Mayor Ledford of Palmdale was boogieing in the background to the music that provided the perfect close to this wonderful event, so thank you Commissioner Muhammad for contributing to the success of this day. Sorry, David, but you are wrong with this post. Stan Muhammad should have been removed from the Commission for his gay slur. I fail to see how bringing in a musical act at a rally for King and Chavez is redemption. Also, how does having Jim Ledford ‘boogieing” contribute to the rally? His administration in Palmdale just lost a lawsuit brought by people of color alleging discrimination. Ledford defended and defends the city’s policies. Wrong people at the right rally! What, you mean Stan “Nation O Islam” Muhammad doesn’t represent a segment of AV population? I’m shocked I tell you shocked that you can’t see that TRex needs his sock puppet at every event and as a means to further his suit Palmdale on “at large” voting? Stan is part of that suit I beleive, could be wrong however. By the way, when is Lancaster going to do away with “at large” representation on the council, or is dynamic duo of TRex and Marvelous Marv waiting to be sued too.